Bridge Technologies VB330 Digital Media Probe Scoops STAR Award. 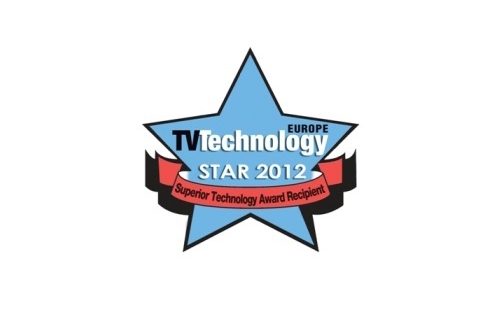 Bridge Technologies’ VB330 is the recipient of a 2012 STAR (Superior Technology Award Recipient) Award, given by the editorial staff of TV Technology Europe magazine at the 2012 IBC convention. The VB330 is Bridge Technologies’ flagship digital media probe and delivers outstanding performance in heavy-traffic headend and core network applications. Offering the highest ratio of performance to form-factor on the market, the VB330 provides detailed analytics and easy drill-down to deep detail through the patented Bridge Technologies MediaWindow™ technology. For robust, mission-critical operation, the VB330 features redundant dual power supplies and dedicated telco grade hardware throughout, to ensure longevity and stability. TV Technology Europe’s STAR Award celebrates the preeminent technological innovations available to the broadcast industry. TV Technology Europe's editor reviewed a variety of products, examined the technical applications and their overall contribution to the industry, and then chose the winners. “STAR awards are given to interesting new products that help a user save money or accomplish a task in an easier way,” said Mark Hallinger, Editor of TV Technology Europe.